Packaged in a six-panel textured card sleeve. 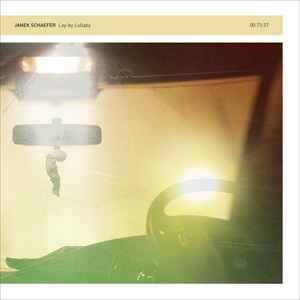 This is the first album for 12k from renowned UK sound artist Janek Schaefer. He has been active in the music and art worlds for the past 20 years recording and creating sound installations for an impressive list of labels and institutions. In 2008 Schaefer won the British Composer of the Year award in Sonic Art, and the Paul Hamlyn Award, for his project Extended Play [triptych for the child survivors of war and conflict]. He is a Visiting Professor & Research Fellow at Oxford Brookes University, in the Sonic Art Research Unit, and is represented by the Agency gallery, London. In 2010 Janek produced his largest and most ambitious installation *‘Asleep at the wheel...' which explored how our society is hurtling down the fast lane of life with our head in the clouds, and our foot to the floor thinking the road ahead goes on forever. Incorporating spoken word soundbites from a variety of forward thinking people, it enlightened and challenged the audience into waking up, with very positive reactions from all the generations that attended. The composition is his calmest yet, and is based around location recordings made in the middle of the night above the M3 motorway, right at the end of the road where JG Ballard lived, a couple of miles from Schaefer’s studio on the far west edge of London. Ballard wrote his seminal works on car culture, as the motorway was being built past the front of his house in 1973; Crash (1973), Concrete Island (1974). ‘Lay-by Lullaby’ was created in 2013 as a sculptural installation for Schaefer’s solo London show ’Collecting Connections’ at the Agency gallery. A pair of reclining traffic speaker cones play back the foundsoundscape from a car radio installed in a little leather travel case on infinite loop.